With the passing of Baroness Thatcher, the first female Prime Minister of Britain, a realist who achieve such prominence with her strength instead of what feminist promote these days, weakness, we lose an example of what people can achieve with self confidence. Margaret Thatcher, love her or hate her, one has to admire her character, she “never” looked at herself as a victim of men, as a matter of fact she attained her position in life by promoting the idea that we are all capable of advancing by simply believing in one’s self, without the belief that we need the state to help us along by declaring to be victims of one another. 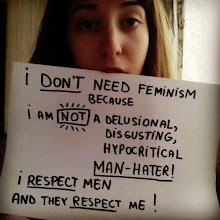 That said, the radical left wing victimizing feminists of today promote, that woman need to achieve in life by declaring themselves victims of men, which, if one thinks about it, is a totally ridiculous notion. All fathers want their daughters to accomplish the best they can be, and will push them in that direction, our and our daughter’s enemy to that goal is feminism telling them they will always be victims. This demeans and weakens their resolve and pushes them in the arms of these hags who thrive on weakness for their inflated salaries and over exaggerated statistics which I have proven again and again. The reason Thatcher was considered an enemy of feminism was because she was the perfect example that women who believe in themselves could compete on an equal basis with men, without crying out they are victims if they do not get what they want. She did not believe been dependent on the state and its social programs advanced anyone; as a matter of fact she believed and proved otherwise. The labor party and unions of the times, and those of today, especially here in Canada and Ontario, pushes dependency, not because they believe in it, they know damn well the long term effect of these policies will come back to haunt us in the future, but because the more you make people dependent, the more they will depend on the state, and when this happens, their base strength will increase. “The problem with socialism is that you eventually run out of other people's money." Socialism, feminism, those who pander to them, manginas and others, takes away the will to fight and to scratch to be better; it destroys nations, families and morality. Here in Lanark county Ontario we see the example of such policies, it promotes drug abuse, alcoholism, teen pregnancy (easy access to welfare), an uneducated generation of kids, higher taxes, and a really poor outlook for the future. When you have a local mayor promoting welfare as a way of life, there is definitely a problem within our system and it is called corruption. When I talked to a local politician and they told me he goes to Ottawa and tell the Mayor to send his welfare case to his town, I asked this person, “did you do anything against this, why don’t you expose him?”. If they know this and do nothing about it, they are as responsible as those doing it. But this “mayor” is still in power, still doing his thing. At the expense of local families. One cannot be a fiscal conservative without been a social one at the same time; the two go hand in hand. Social conservatism promotes support for morality and traditional family values. And those are the values needed to be independent, hard working, and a self assured individual who believes we can achieve more by recognizing; inner strength is better than dependency. Been native myself and many of my readers, we can assure you that been dependent on others is never a good thing, it take from you…everything. Margaret Thatcher was popular because she promoted such idealism, and we all have them inside us, to see our kids’ independent is better than seeing them on welfare. And if politicians would recognize this, it would make this world a better place; they would be as popular as she was. We need this idealism returned in the psyche of people, it would offer a better lifestyle to the next generation.